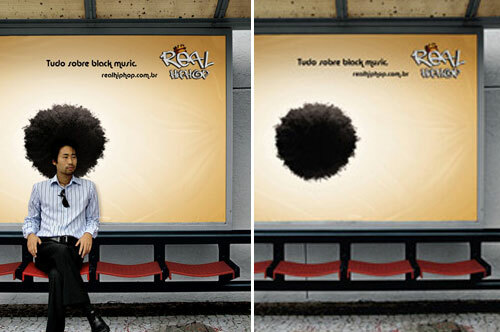 Bus stop is always a hot place for advertising. 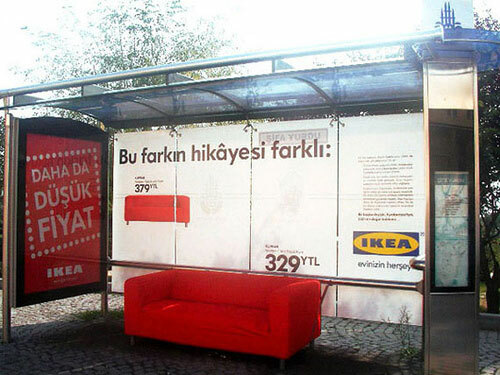 Basically, when you are waiting for bus… you have nothing to do… so you look around, even read every words on those advertisement to kill times. 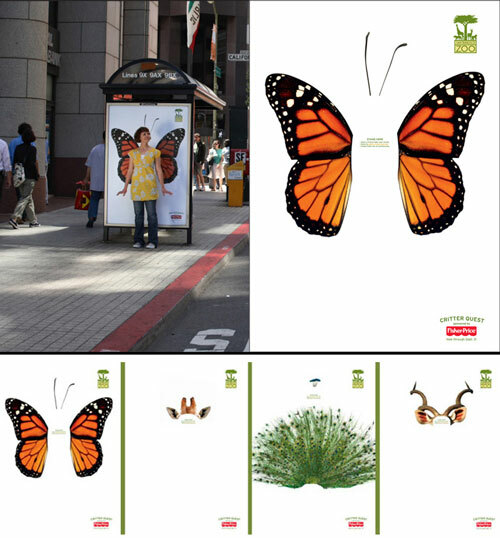 Today, we will present you with 19 Creative and Unusual Bus Stop Advertisements collected from the world. 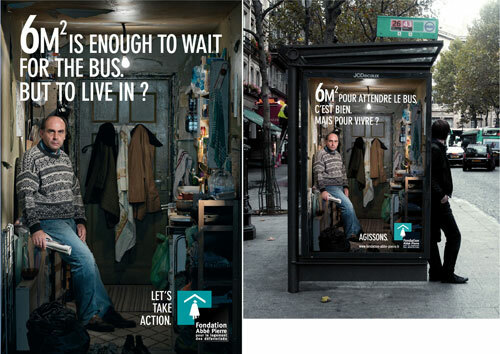 And I do hope I can see more and more those kinds of Bus Stop Advertisements around my life… then I won’t get bored when I am waiting for bus. Headline: How does it feel to be involved in a crime? 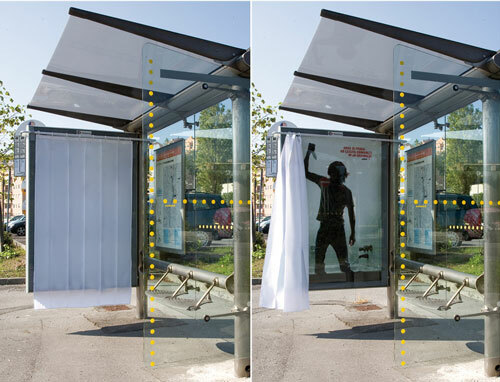 At the bus stop, there will be posters covered by a shower curtain. Opening the shower curtain will reveal a classic assassin with a knife, ready to kill. McDonald’s was giving away free small cups of its brew for a two-week period, in an effort to attract new breakfast customers. 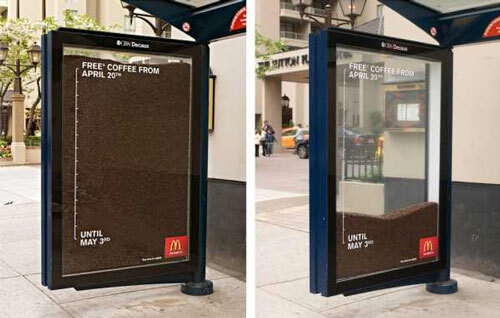 A transit shelter was turned into an ‘hourglass,’ with an ever-diminishing number of coffee beans reminding customers of the promotion’s short-term nature. 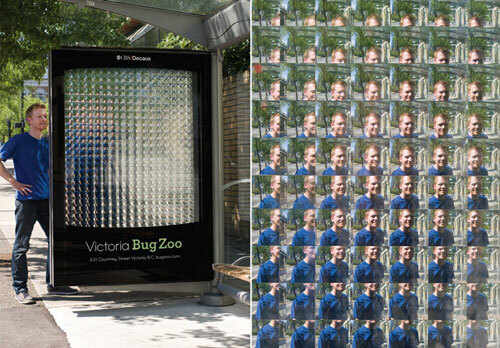 The Victoria Bug Zoo is all about experiencing the world of insects and spiders. This TSA, made from a plastic sheet with hundreds of small magnifying lenses, allowed passersby to see through a bug’s eyes. It’s know that you can’t tlak about colors if you can’t see them. 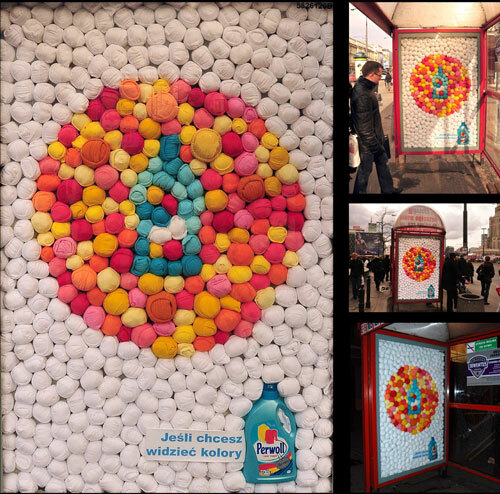 Tha’s why, to promote Perwoll Color Magic, a detergent that protects colors from fading out, we created a unique street color vision test: instead of colorful dots we used over two thousand socks rolled like just after laugdry, put into citylights at the bus stops. Those who were able to see colors could also spot the correct solution: a shape of Perwoll bottle inside the circle. As a result people in Warsaw sould test their color vision and see with their own eyes that Perwoll allows them to see colors, even after washing. 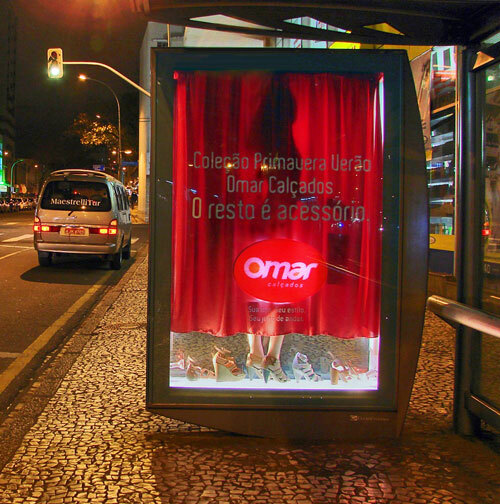 The project is the installation of a feminine silhouette protected by two red curtains, showing only the film legs and shoes of the collection Omar Footwear. During the night, a play of light emphasizes the silhouette and the collection of shoes, thereby creating the presence of women within box of advertising. 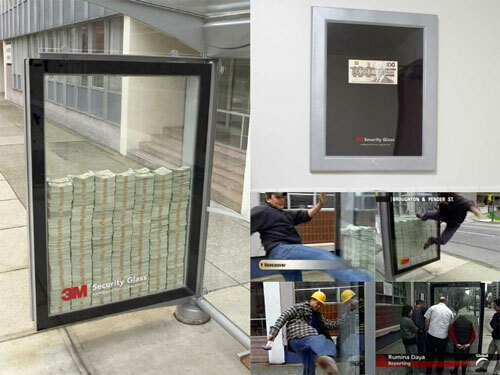 Everyday the rubbished found around the bus shelters was picked up and placed inside the bus shelter. 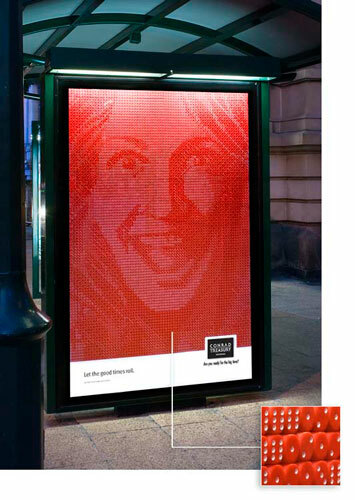 7563 dice were painstakingly set into the face of Treasury Casino’s bus shelter sign. 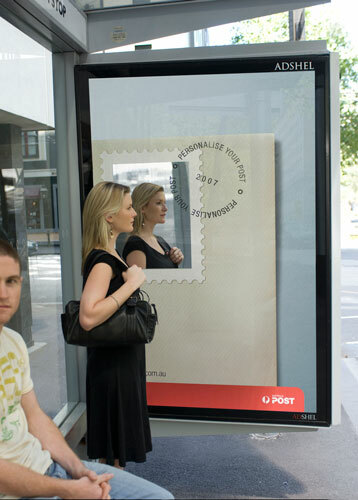 Australia Post’s online Personalised Post service via bus stop posters. 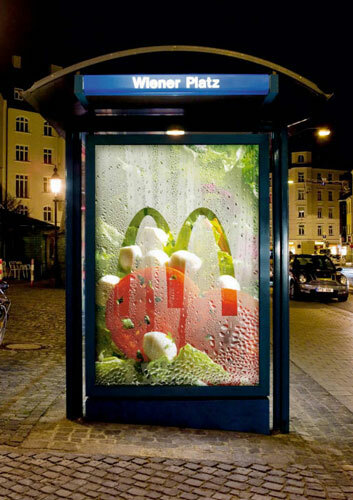 Clever poster, with what appears to be fresh salad vegetables, changed a bus shelter into a section in the refrigerator. 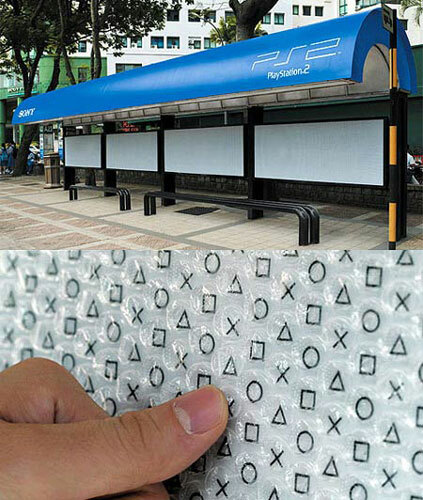 This bus station in Malaysia features boards with bubble wrap. 6m2 is enough to wait for the bus. but to live in? 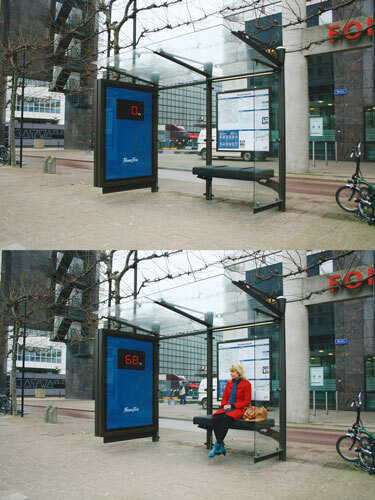 Osram: Bus stop – Only use electricity when you need it. This is an outdoor ad, mostly called citylight. 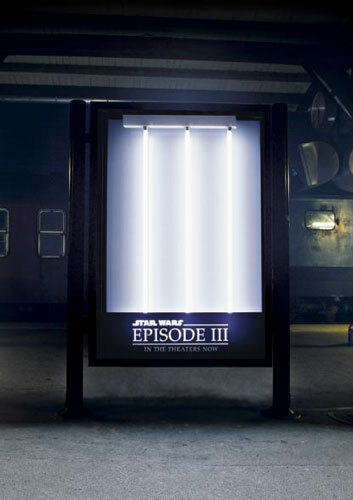 The inner side of the installation is exposed to show the fluorescent tubes that look like lightsabers. Invent your future with a career in science. 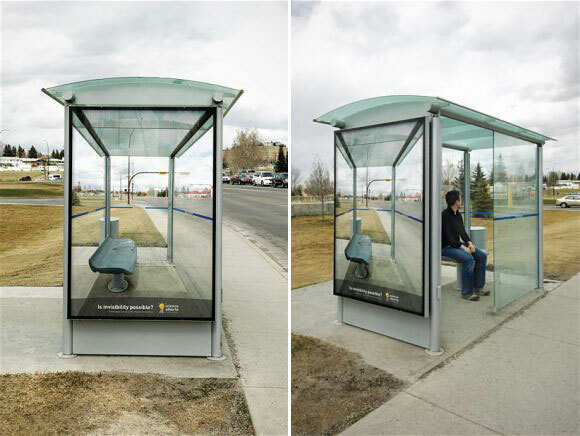 These are such creative and truly unusual bus stop advertisement.Specially that last bus stop is wonderful.Its shelter looks real..No one can imagine like this one.